Not everyone finds it easy to follow the advice on a website without guidance and support from someone else. 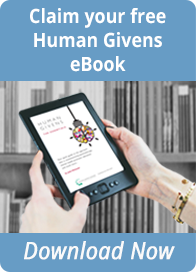 If you think you need more help, check out the find a human givens therapist page. If you cannot find a human givens therapist near you, at least make sure you select another therapist who understands the information we have given you.